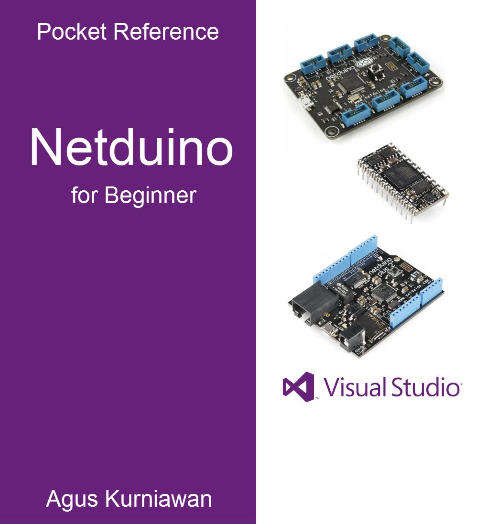 Published by PE Press, the Pocket Reference: Netduino for Beginner ebook was released on May 16, 2013, written by Indonesia Visual C# MVP Agus Kurniawan. With about a week old, the book has garnered ~10 downloads so far. Ranked among Amazon Best Sellers at #583,891 the 5-chapter bite-size content book gets you started on how to develop an embedded application quickly using Netduino and .NET Micro Framework. “I wrote the e-book about how to write .NET application with embedded hardware as target system. All illustration codes are written in C#” shared Agus on his new book. Now available in Kindle version! Get your copy today from Lulu, Kindle Amazon, KOBO, iBookStore!